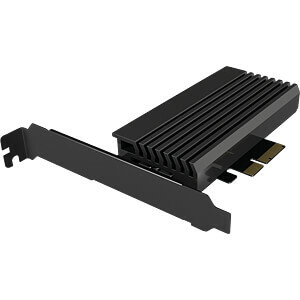 With the PCI expansion card you can easily upgrade older systems to the new level. 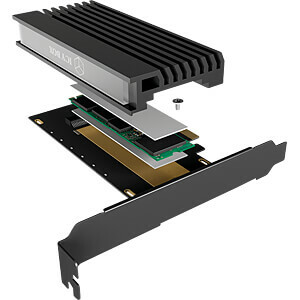 You can experience all the advantages of a fast M.2 SSD without having to rebuild the whole system again. 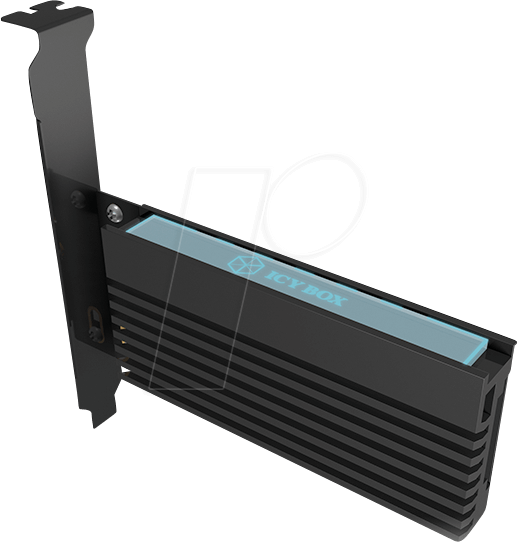 The IB-PCI214M2-HSL contains both a full and a half profile cover. 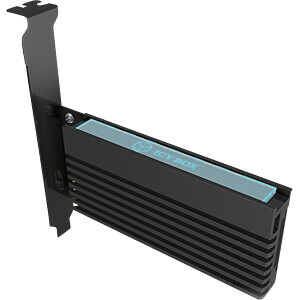 This means that it can be used in almost any type of housing without any problems. 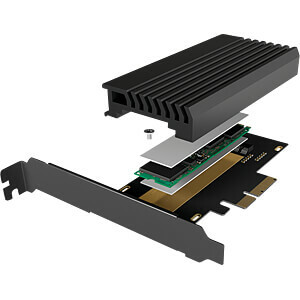 In addition, M.2 SSDs with the dimensions of 22x30/42/60/80 mm can be installed. 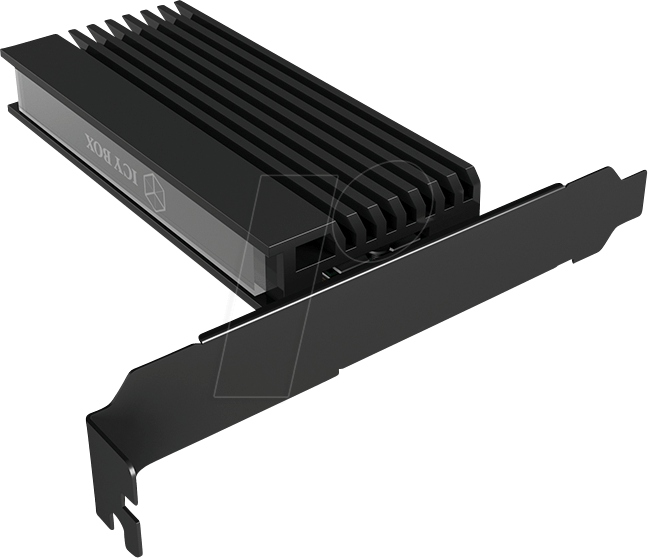 No matter what configuration you need, the IB-PCI214M2-HSL gives full throttle in any setting. 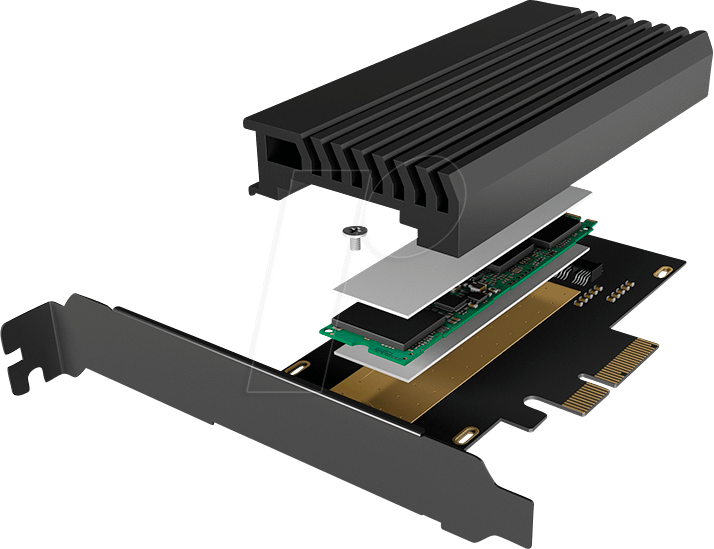 The current M.2 NVMe SSDs achieve more than five times the speed of traditional SATA SSDs. This enormous power naturally generates a lot of waste heat on the small M.2 cards. 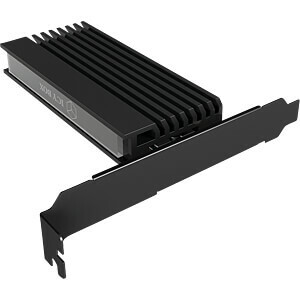 In order to protect the card and the system, the speed is throttled if the SSD heats up too much. 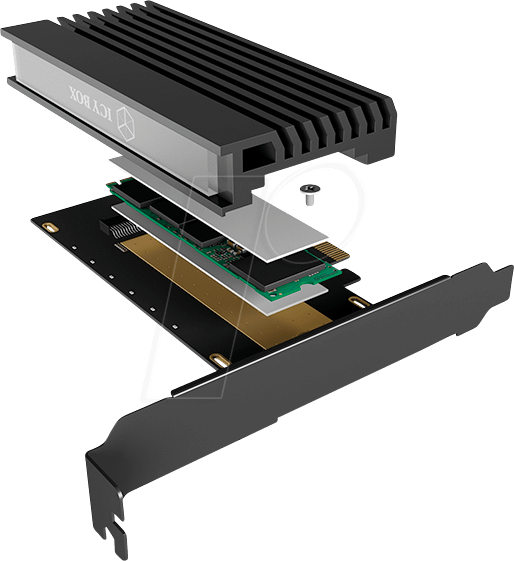 The IB-PCI214M2-HSL offers enough cooling power with the enclosed heat conduction pads and the large heat sink so that you can enjoy the full power of your M.2 SSD at all times. 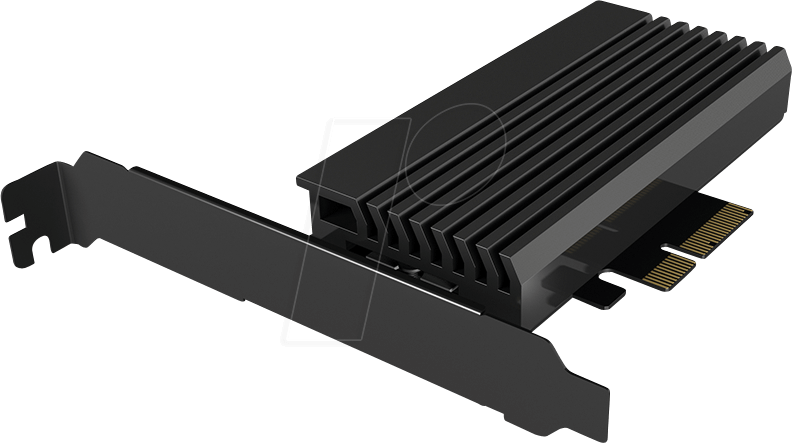 The massive heat sink is not only responsible for temperature control. The integrated acryl glass highlight is illuminated by LEDs and immerses the system in a rich blue tone.